Grades: 6-12 7:50 a.m. - 2:40 p.m. 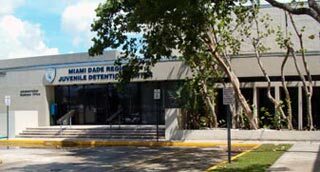 Welcome to the Juvenile Justice Center School (JJCS) Web site, where our motto is "WE CARE". The mission of the faculty and staff of JJCS is to provide a sensitive and relevant educational opportunity that is academically challenging to our students. We are committed to providing our students with quality instruction and service every day. Our school offers the standard Miami-Dade County Public Schools curriculum for grades 6-12. Students attending our school earn grades and credits that are transferable to any school in our District. We have a Student Services Department that consists of two counselors and a psychologist. The goal of our Student Services staff is to ensure that students receive the appropriate academic and career information needed to make informed choices. Additionally, they provide words of encouragement and comfort that helps our students understand the complexities of life. JJCS welcomes parent participation. We have an active Educational Excellence Advisory Committee (EESAC) that meets regularly throughout the school year and we invite parents to visit our school during "Open House" every nine weeks.